UPDATE: I read the first draft of Mary in the Moon (see end of post) during a discussion about Oliver’s poetry with the lovely Melonie Cannon, who hosts the podcast, Words Fall In. That episode aired today, January 30th, and you can listen to it here. Just as light was lifting the dark from Friday morning’s sky, Kara texted me the NY Times article on Mary Oliver’s passing. Having driven an early carpool, it was barely 7AM and I was still sitting in my driveway, warmth blazing from the car heater. I slumped back against the seat, then tapped and scrolled, reading line after line about her deliberate life, her poetic ability to capture the natural world, make it sacred, and pull words from holy places. She died Thursday, January 17th, at the age of 83, at her home in Hobe, Florida. I slid out of the car and into the dark blue morning, softly pressing my footsteps into new snow. I watched the snowflakes glitter in the porch light and thanked the heavens for Mary. It was so quiet, so silent. An emptiness hung around me. We had never met — at least not outside the pages of her books — but the loss was keen and fresh. I felt as if I’d lost a wise auntie, a good friend. Mary’s words have been revelations to me, divine connections, harbingers of strength to do hard and necessary things. Other poets, especially the Romantics, have carved space in my soul. Like Hopkins, Blake, Dickinson, Shelley, Wordsworth, Thoreau. And more contemporary ones like Rilke, Plath, Roethke — they’ve all given me treasures. Words that fly off the page, whisper to my spirit, mean something. But Mary was different. She was my poet in residence. The one who could always fill my heart, offer direction, sedate a worry, fortify my mind, set me right. And she wasn’t a poet long gone, immortalized by a few lines. She was still out there. Waking early to walk through the forest, to catch a new birdsong on the wind, still noticing something she hadn’t noticed before, and writing about it. In 2009, I saw Mary’s poem, “The Summer Day” on Kara’s kitchen counter. I had just discovered we were having our second set of twins, which would generously gift us five children in four years. I was thrilled on the outside, but overwhelmed and drowning on the inside. I had no idea how I would manage four children in diapers, and so many babies all at once. But it was this question she asked, after kneeling down in the grass, that redirected me. Her question overhauled my perspective. Children were the dream we had prayed for, the life we had longed for, waited for. And these babies were hard to get here! So if they were coming, Mary was right — I’d better make the most of it. I thought to myself, What could be more wild? What could be more precious? Thus began my connection with Mary. I changed the name of my blog to Wild and Precious (which maybe she would have groaned at, or smiled over — not quite sure), and for nine years now, I’ve been coming to this space to write, to process the complexities of life. And every time I type the URL, I think of her. I’ve spent a lot of time in her poems and I wanted to share with you those seasons and lines that have become a part of my experience. I worried a lot. Will the garden grow, will the rivers flow in the right direction, will the earth turn as it was taught, and if not, how shall I correct it? So it is if the heart has devoted itself to love, there is not a single inch of emptiness. Gladness gleams all the way to the grave. Let grief be your sister, she will whether or no. Rise up from the stump of sorrow, and be green also, like the diligent leaves. Then I remember: death comes before the rolling away of the stone. We shake with joy, we shake with grief. What a time they have, these two housed as they are in the same body. I’ll just tell you this: only if there are angels in your head will you, ever, possibly, see one. Finally one of them—I swear it!— would have come to my arms. But the other stamped sharp hoof in the pine needles like the tap of sanity, and they went off together through the trees. When I woke I was alone, I was thinking: so this is how you swim inward, so this is how you flow outward, so this is how you pray. After the rest of the kids left for school, I took my camera outside and decided to look beyond what I normally see, to observe the way Mary did. All the photos in this post are from that Friday morning. I read several articles giving her tribute, one was titled, “Mary Oliver helped us stay amazed.” And she did. In such wondrous ways. She had a deep and direct love for the world. She brought us into the forest with her, next to the sea, or wading right into the river. She would sit so silently on a hillside that the foxes would run past her without notice. She listened to a loon cry it’s last long escaping song before death. She conversed with otters, studied the bees, decided that birds sang prayers, and listened to the trees who saved her, she said, daily. Nature was her teacher, its flora and fauna her companions. In them she found safety, acceptance, and holiness. She did not fear mentioning God, the Holy Spirit, or Jesus in her poems. Gospel motifs lean in and out of her work — crouched in metaphors, wrapped in scriptural imagery. These were things she knew, as if they were part of her very bones, pulsing right down in her marrow. How many mysteries have you seen in your lifetime? How many nets pulled full over the boat’s side, each silver body ready or not falling into submission? She saw things even she could not explain. But those mysteries were miracles to her. And while she was okay with all the un-knowing, she seemed to have a sense of unfailing trust in a divine presence and wisdom bigger than herself. And she believed eventually we would have answers. She knew loneliness. She knew hurt, and grief. But the natural world was her salve, her healing. Mary spent most of her writing years in Provincetown, Massachusetts, where she lived off and on, for almost 40 years. There she went foraging daily, for greens, animals, and poetic material. She wrote about animals almost as kindred spirits. At age 17 she spontaneously drove to Steepletop, Edna St. Vincent Millay’s former home in Austerlitz, N.Y., near the Massachusetts border, where she formed a friendship with Norma, Millay’s sister. She lived there for the next half-dozen years and helped Norma organize Edna’s papers. In the 1980s she taught at Case Western, followed by jobs at other various colleges. In 1984 she won the Pulitzer Prize for her fifth book of poetry, American Primitive. She blended the romantic traditions of Keats and Wordsworth while including the solitary reflections of Thoreau and Witman. She transported us, helped us find a path of transcendence out of the routine, away form the ordinary. Don’t blame the river that nothing happened quickly. You don’t hear such voices in an hour or a day. You don’t hear them at all if selfhood has stuffed your ears. And it’s difficult to hear anything anyway, through all the traffic, and ambition. She gave very few interviews. One that you will love listening to, if you haven’t already, is with Krista Tippett, On Being. So, in an effort to say Thank you to Mary, I’ve made a messy attempt at writing her a poem. She makes poetry look so easy. It’s not. Her craft is meticulous, tight, every word works. And wordpress won’t let me line-break where I want to, so my poem looks more like prose, with weird line stops and starts. But try to read past that. It’s a first draft. The phrasing may change. But for now, these are my words. For Mary. slipping her luminous fingers through the shutters. eclipsing and hurtling over the mountain. She’s a super moon — superimposed on the western sky, looking like she forgot it was time to go home. I walk into the frosted backyard. A trio of blue spruce gather me in their arms, but their puffed sleeves of snow are looking for another. Orange winterberries bob their tiny heads above the struggling lilac. I move closer, and to my surprise, every tip is wick with green. Never turn your back on the thing God is nourishing. shivering like the wings of a small bat clinging to wood. Our round mother is calling — for you. Her pines beckoning. Her juice of spring running sprints against the dark. Her whited leaves trembling lonely in the air. Where have you gone? Where are your eyes lit with fire and wild wonder at the grasshopper eating sugar from your hand? Where is your ear cocked for birdsong? Your pen — the way you paused it in the air? I would have kept you here longer. Stacked your poems a little higher. But God times our comings and goings. We give way. Mother Earth gives way. Come home to me, she says. I will hold you safe. notice everything you see, then tell me about it. I will keep your bones warm. I do not know how to thank you, Mary Oliver. Your precious life was a mighty flash of untrimmed light. And that moon was your glorious goodbye. Death waits for me, I know it, around one corner or another. This doesn’t amuse me. Neither does it frighten me. 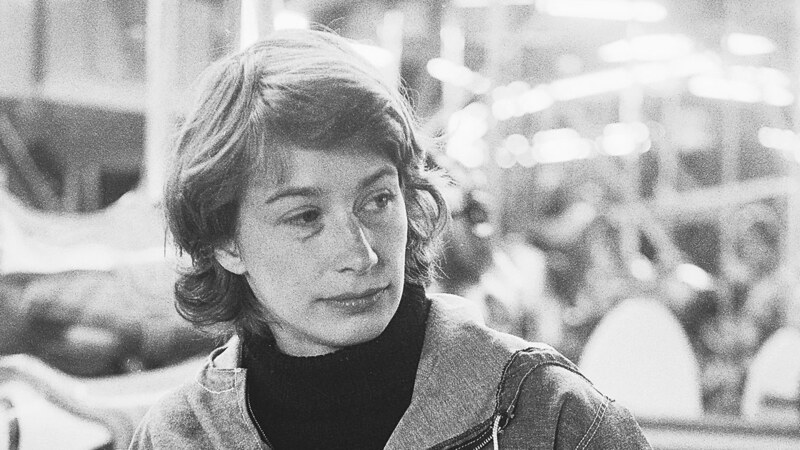 My dear friend, this is such an amazing tribute to Mary Oliver. Thank you for sharing so many of her quotes here. I loved each of them and am going to go back and read through them again, to soak up more of her wisdom. She is able to perfectly capture beauty and truth in her words. I love how her “wild and precious life” line influenced your life at such a pivotal moment. The poem you wrote is so beautiful. You have such an amazing gift. It is an incredible tribute to her. So many of your phrases echo her voice and spirit. The ending line, “I will keep your bones warm” is just perfect. The world needs your words. My choir friend, I’m so glad to have found your blog! We share a kinship and awe for Mary Oliver and I, too, felt her passing tenderly.